Heather is passionate about commitment to health and wellness practices as a way to transform circumstances and thrive through life. She works to create and hold a safe space and experience for clients to heal and grow through their own personal journeys. She began practicing Yoga prior to massage school and desired a fit connecting the two in one place because of the profound health and healing benefits that each can facilitate. She is a 2014 graduate of Blue Sky School of Professional Massage and Therapeutic Body Work. She became a Certified Yoga Teacher through Wild Abundant Life in August of 2015. 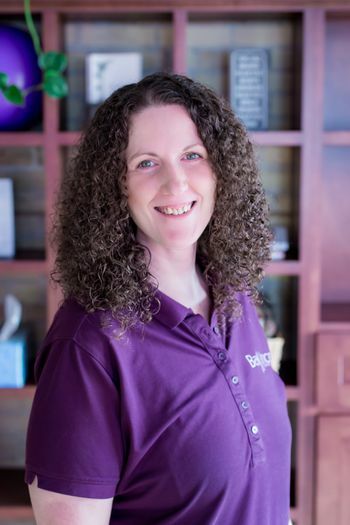 She completed her Reiki Master certification through Balance on Buffalo earlier this year and credits her own Reiki self-care sessions for profound positive shifts and healing in her own life. Her intention is to offer and share these practices and tools to help others move forward through life experiences with greater awareness, happiness, and lightness. She works to focus and create community and connections, so that others know and feel connected to something positive as well as knowing we are all a part of each others experience. Her favorite connection is being able to observe and be a part of the experiences of others in their own health and healing transformations. Reiki and Hot Stone sessions are her favorite sessions to give as they have been a way for her to deepen her healing creativity and connect and share something with others that is bigger then herself.